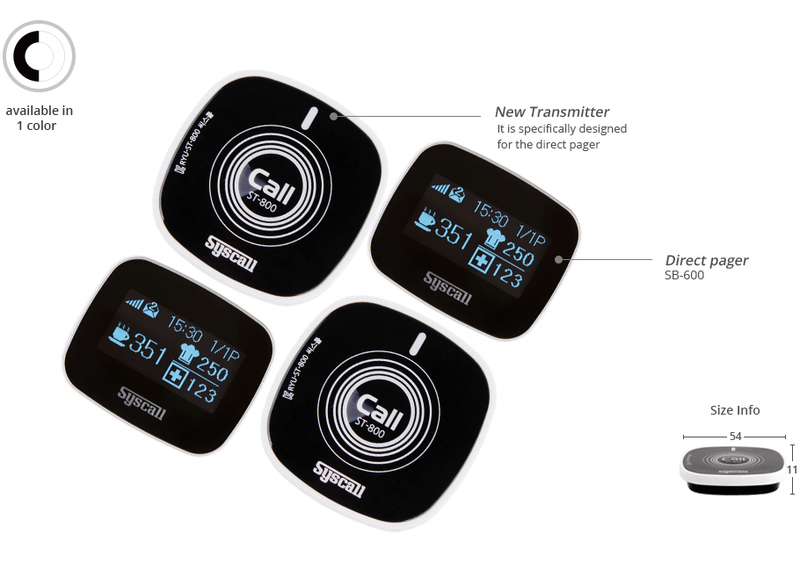 · New Transmitter with improvement in design and transmission capacity. 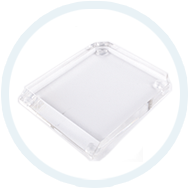 · It is specifically designed for the direct pager (SB-600). 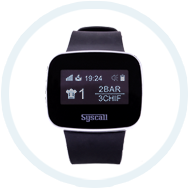 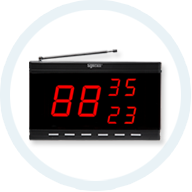 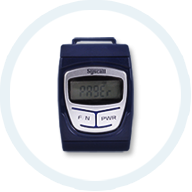 · Compatibility: Compatible with calling system, pager unit system and direct paging system. 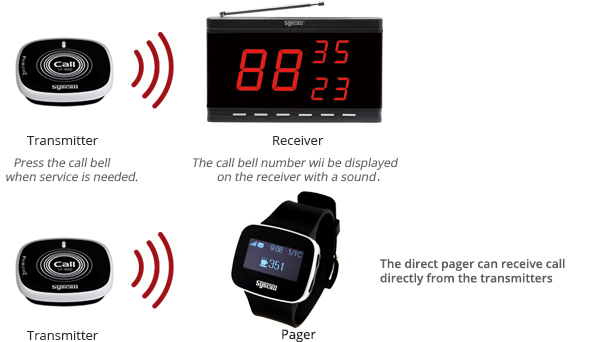 The direct pager can receive call directly from the transmitters.